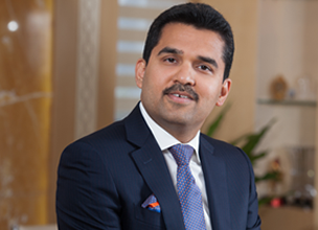 As Chairman and Managing Director of VPS Healthcare, Dr. Shamsheer Vayalil has successfully stewarded the group from being a single hospital in 2007 to an end-to-end healthcare provider with a rapidly expanding global footprint. Dr. Shamsheer began his career as a Radiologist at the Sheikh Khalifa Medical City, Abu Dhabi. As he recalls, the zeal to do something more was always burning within. In 2007, after working for about a year, he set out to establish his own business and opened the doors of VPS Healthcare's first hospital - LLH Hospital - to the public. In less than a decade, Dr. Shamsheer has established an integrated healthcare group with 20 operational hospitals, over 100 medical centers, pharmaceutical manufacturing and other healthcare support services spread across the Middle East, Europe and India. Today, VPS Healthcare is an established name within healthcare and pharmaceutical and allied services sectors with presence across UAE, Oman and India. New projects are underway in the GCC region and India. Under his guidance, VPS Healthcare is rapidly turning into a front-runner within the region and beyond. With several national and international awards and accolades conferred upon Dr. Shamsheer, it is truly commendable that where, he could have only been a professional medical practitioner, he chose a path, which enabled and empowered him to make the most of a rare combination of business acumen and passion for community welfare. Dr. Shamsheer's commitment towards philanthropy matches his zeal for success in his business initiatives. His active involvement in helping communities and the underprivileged goes way beyond the conventional boundaries of healthcare. Through a series of health-focused campaigns and initiatives, he has swiftly responded to major health concerns. His CSR initiatives like the 1000 Free Heart Surgeries dedicated to the memory of the late Sheikh Zayed Bin Sultan Al Nahyan and the Breast Cancer Screening Programme have helped thousands of people across the Middle East, Africa and the Indian sub-continent. The health screening and awareness programmes for the worker community have changed the lives of many and have helped people lead a better and healthy life. In addition to this, his rehabilitation initiatives have also helped victims of calamities and disasters. Dr. Shamsheer is a man with the deep conviction that by hard work and selfless service, it is possible to make a difference in our world.